Like any plant, Paulownia requires to itself a certain care. Taking care of it, you have great pleasure to see how quickly the tree grows. From a small seedling to a full tree, already in the second year after the technical section, Paulownia will grow to a height of more than 6 meters. The main purpose of the one who creates the Paulownia plantation is to get a high percentage of survival of the seedlings in the first year. Under favorable conditions of cultivation and observance of all norms of planting and watering, the number of dead seedlings should not exceed 3% – 5% of the total planting. Lack of knowledge or lack of information about the tree and the correct system, pattern of planting and time of planting, water requirements, application of fertilizers and soil preparation can adversely affect the capacity to survival and development of seedlings. 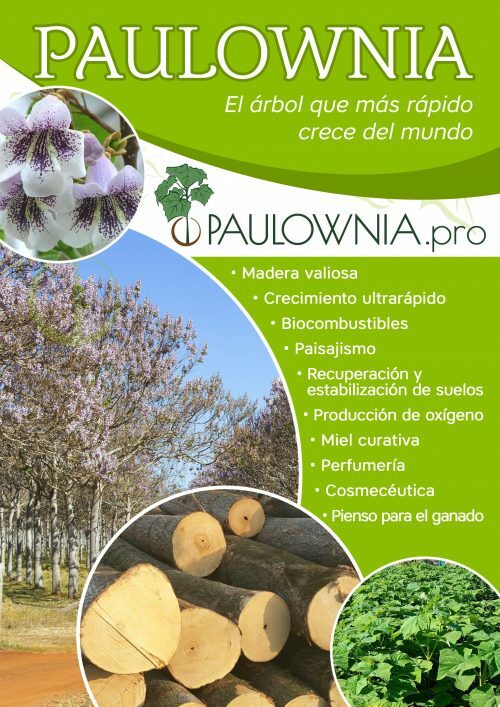 Paulownia Professional will try to briefly explain the basic principles of planting and growing Paulownia. 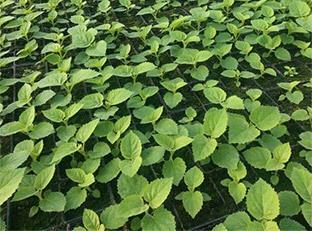 A good start is, undoubtedly, obtaining a quality seedling that has become stronger and adapted to the environment after greenhouse plastic, which will receive the least stress from transportation and subsequent landing in the field conditions, either seedling of the rooted bole or the seedling of one-year-old tree with a well-developed root system. Everything depends on their purpose. 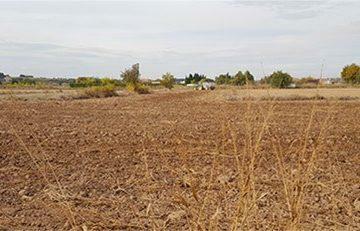 Obviously, planting will be more extensive for obtaining wood than for obtaining biomass. Planting patterns for obtaining biomass can be different. For example, the planting pattern of 2 x 2.5 m or 2 x 3 m is suitable for the production of biofuel (pellets), it is about 1600 – 2000 trees/hectare. 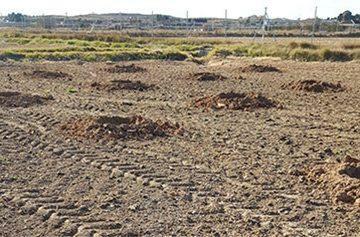 And the planting pattern of 2 x 0.5 m or 1 x 1 m or approximately 10,000 trees/hectare is suitable to obtain fodder for cattle. The popular patterns are the following: 4 x 4 m-625 pieces/hectare; 5 x 4 m-500 pieces/hectare or 5 x 5 m-400 pieces/hectare. With each of these options, the harvesting trees should occur between the fifth and tenth year. The pH value should not be below 5.0. 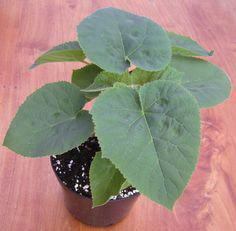 Paulownia does not tolerate acidic soils; the limits of the permissible norm are pH 5.0-8.5. The soil must be easily permeable and freely drained. 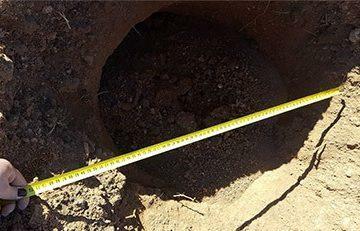 Its density should be 1.3 g/cm3, and the soil layer on the plantation should be at least 1 meter. Also, the presence of large stones is not important, the main thing is that there are no rock layers under the trees themselves; otherwise the tree will simply stop growing. Even sandy soils fit the tree. Paulownia does not tolerate high ground waters. They should be no higher than 1.5m. Swampy or flooded soils are also not acceptable for Paulownia, since oxygen will stop flowing to the roots and the tree will simply die of asphyxiation. The site must be properly prepared. 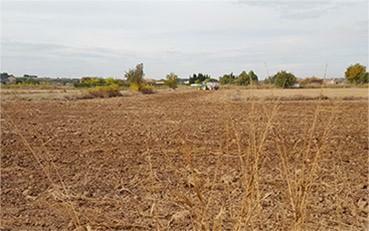 It must be plowed, treated with herbicide against weeds. The fertilizers should be applied, and the seedlings planting marking should be made. The watering should be determined and installed. 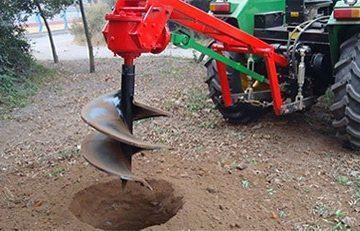 1) For planting of bole or one-year-old trees, you should bore pits by a drill with a diameter of at least 60cm. The depth of drilling (loosening of the soil) can reach up to 1 meter, while the soil taken out from the pit is mixed with mineral fertilizer or manure and returned back until the pit becomes 30-40 cm deep, after which the seedlings are planted, and at this time, the stem section must be at the ground level. 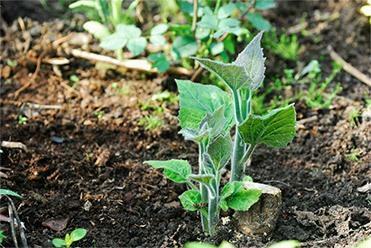 Thus, under the seedlings, a layer of soft and nutrient-rich soil is obtained, which ensures rapid growth of young roots. 2) Planting of young seedlings is desirable at the time of drip irrigation. Before planting, it is necessary to conduct deep plowing at least 0.5 meters in order to loosen the soil for rapid growth and strengthening of the root system. 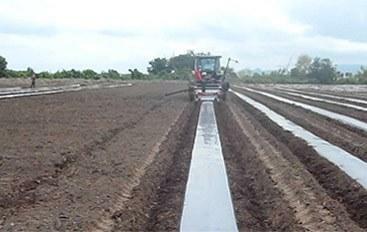 In the absence of drip irrigation, the seedlings should be planted on pre-prepared furrows, covered with plastic by means of the film-laying machine. Thus, our seedlings will be protected from drowning during irrigation, which we will implement along the trenches passing alongside the furrows, and you not allow the weeds to take precedence over the still not strengthened seedlings. Water plays an important role in growing seedlings. The first years of life, Paulownia requires careful watering. After this, the root system develops, reaching the aquifers, after which the need for watering is eliminated or reduced to a minimum. The easiest way to water is the drip irrigation system. 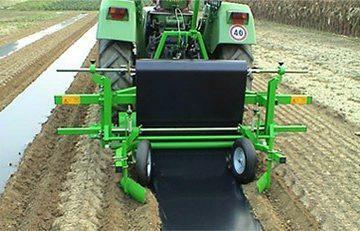 If you do not have this opportunity, use the furrow irrigation. 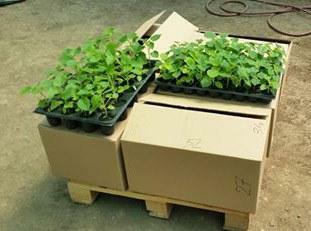 One seedling needs about from 20 to 40 liters of water, contributed for 1-2 irrigations per week. In the beginning, the weed control is the biggest problem and is solved with the film-laying machine. Weed can be eliminated with herbicides, with the help of technique or manually. Seedling should be cleaned from any weeds within a half-meter radius. The technical section is a strange, but necessary operation. If we leave the rooted and hardened tree the way it is and do not cut it, we will get a deformed trunk that is not acceptable for the woodworking industry, so we produce a technical section, without a drop of regret, at the ground level, in the spring, when the tree starts to come alive and there are buds or even leaves on the tree. After 2-3 weeks, we will watch as our tree has released three or four shoots, from which we will choose one and delete the rest. Formation of the trunk of Paulownia is carried out by the method of removing lateral shoots. It is necessary to perform the operation carefully, so as not to break the green leaves and not to damage the bark on the trunk. Observance of the above mentioned norms and standards will help you grow healthy, tall and harmonious trees of Paulownia.